All women wish to have a beautiful skin that is smooth and clear. But with the busy life, polluted environment and harmful rays of the sun, it not an easy task to maintain healthy and blemish free skin. Spots, pimples, acne, blemishes and tanning prevent you from having flawless skin. Nowadays you get a lot of skin care products that guarantee to provide you blemish free and healthy skin. For each type of skin there are special products that suit it. However, some are quite expensive and not always affordable. These are natural ways to treat your skin, which are easy and not very expensive. Here you use natural ingredients to keep your skin clear and beautiful. So, they do not harm your skin in any way. 4 or 5 almonds – soak them in water or milk and keep overnight. Take out the almonds that have been soaked overnight and grind them to get a paste. Add the milk in which saffron was soaked, honey and lemon juice to the mixture. Apply the face pack on your face evenly. Wait for about 10 to 15 minutes till it becomes dry. Now you can wash your face with cotton pads that have been dipped in water or milk. 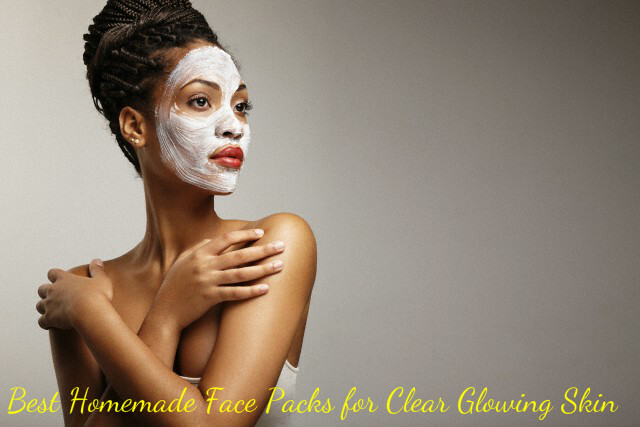 This is an excellent pack to make your skin glow. Saffron helps in lightening the skin tone and also reduces the spots on the skin. Honey is good for tightening your skin. Almond and lemon work together to remove the dead skin cells on your face and thus makes the skin clear as well as glowing. 1 ripe banana – mash it after peeling off the skin. Take a bowl and put mashed banana and yogurt in to it. Now add honey and lemon juice in to the bowl and mix all the ingredients well to get a smooth paste. Apply this face pack on your face and also on your neck. Wait till the pack becomes dry and then you can wash your face with plain water. Lemon is known to be a natural bleaching agent and thus helps in providing you a glowing and clear skin. Banana is also very effective for a glowing skin. Curd is a good moisturizer and keeps your skin well moisturized. It is also good for providing you a clear and beautiful skin. Cut carrots in to small pieces and mix well in a blender. Add honey to the carrot and mix well to get paste. Apply this paste o your face and wait for 15 to 20 minutes, till the pack becomes dry. Remember not to apply it near your eyes or lips. Once the pack becomes dry, wash your face with water. Carrot is rich in antioxidants and vitamins and very beneficial for giving you a glowing skin. Carrot is also good for removing blemishes and scars, thus giving you a flawless skin. Take a bowl and put the curd in it. Mix the gram flour to curd and blend well to get a smooth paste. Now add mashed neem leaves or powder to the mixture and mix well. Clean your face and apply this paste on your face. Let this pack remain on your face for 15 minutes, till it becomes dry. The yogurt present in the face pack helps in keeping your skin well moisturized and also keeps your skin soft and supple. Neem leaves are very beneficial for getting a glowing skin. Neem is also a good antiseptic and protects your skin from various infections. If you have eruptions, boils or acne on your face, neem gives a soothing effect your skin. Neem is an excellent natural ingredient and has been used for ages to get clear and healthy skin. Cut potatoes in to small pieces and put the pieces in a mixer. Add the curd and blend well to get a smooth paste. Wait for about 15 to 20 minutes, till the pack is dry on your face. Potato is a natural skin lightening agent and therefore helps in providing you a glowing skin. It is also good for removing dark spots and other blemishes on the face. So, using potato face pack is great for getting a clear and glowing skin. Yogurt is a natural moisturizer and a skin brightener. It is also good for removing pimples, acne, blemishes on the face and tanning.